The winter finale of The Last Man on Earth, “Silent Night,” might have been the funniest episode of the show to date, but it also had the most intense sequences ever on the show ending in not one but two enormous cliffhangers. 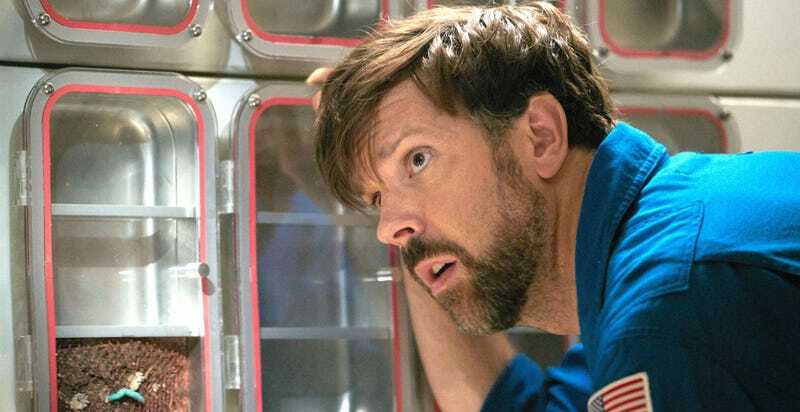 Admittedly, if you remember last week’s episode, it had a few cliffhangers of its own: Mike Miller was flying out into space, while the other Phil Miller, had collapsed and Melissa had just proposed to Todd. Well, most of that got cleaned up pretty quickly this week. Mike got back into his ship to find a newly born worm he named, of course, Phil. The group realized Phil needed his appendix removed and Todd told Melissa “No,” in the midst of the madness surrounding Phil’s surgery. That’s one of those big problems being the last people on Earth. If someone gets really sick and there’s no doctor, what to do? The group voted that Gail should remove Phil’s appendix and she went on a hilarious run of practicing with pastries, a dummy and almost Will Ferrell’s cadaver. We also learned that Todd used to be in a hip hop dance group called the Body Lockers. Perfection. Watch it. In the end, though, after the laughs surrounding all of that and more, the show’s final few minutes were uncharacteristically intense. Gail began surgery, which was cross-cut with Mike attempting to fly back to Earth. Mike’s journey started to get incredibly bumpy and dangerous, just as Gail cut something wrong inside Phil. Each frantically attempted to fix things until we saw Phil flatline and Mike disappear. Did Mike make it back to Earth? Is Phil really dead? We’ll find out in a few weeks. But you’ve gotta love it when a show leaves you by reminding you why it’s so great.